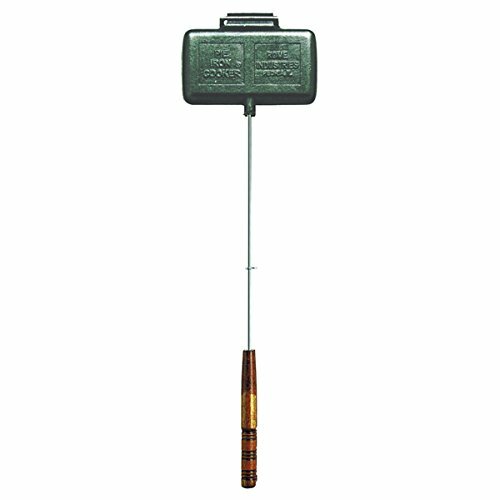 The classic, all-time favorite square pie iron loved by family campers & scouts and for 45 years. 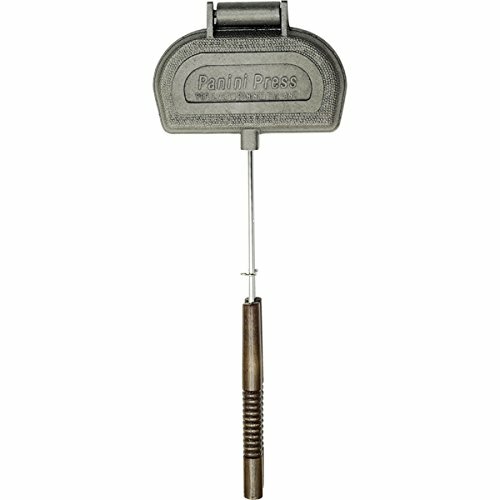 Made from solid cast iron with dependable chrome plated steel handles, you won't find a better design on the market. To use simply place two pieces of buttered bread in the clam shell style compartment and stuff with preserves, cheese & meat, pie filling or whatever you want. Close the lid and toast over the fire until done. Perfect for campfire or backyard firepits. Cooking surface is 4.25" x 4.5" with an overall length of 28". Made by family camping cookware specialists, Rome Industries. 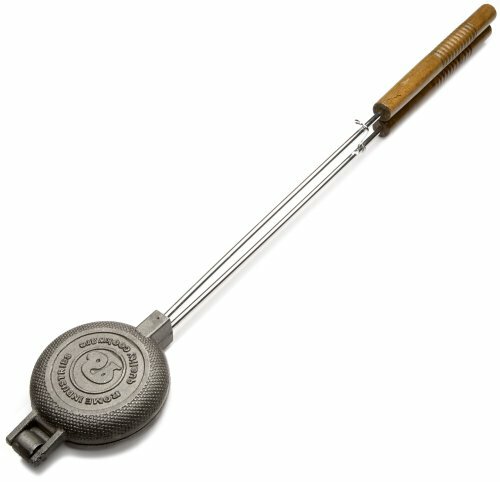 The big daddy of Pie Irons, this fun and versatile cooking device makes two tasty sandwiches or pie at a time. Also great for pastys, calzone and empanadas...the options are endless. The cooking surface is 8.5" x 4.25" and made from heavy duty cast iron with chrome plated rods and handles. Recipes Included. Made by Rome Industries - a family camping specialty company that has been making the Original Pie Iron sandwich cooker since 1964. The round cast iron pie iron from Rome is perfect for cooking desserts & pies over a campfire or fire pit. The round design is made to trim off the edges of sandwich bread to form a sealed round sandwich. 4.25" diameter cast iron cooking surface with an overall length of 28". recipes included. Heavy cast iron griddle. 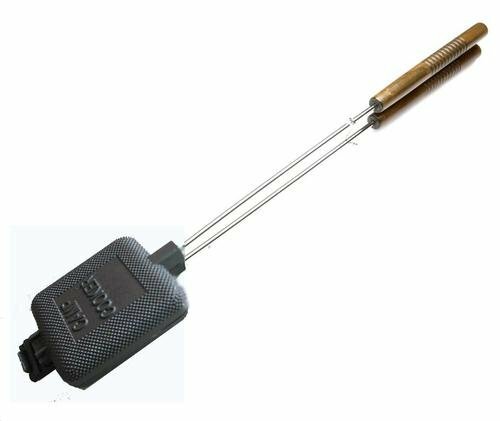 Long handle for grilling over a campfire. 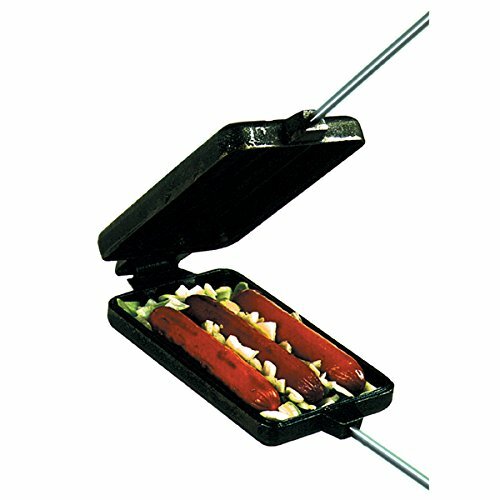 Cook beer dogs & brats (3 at a time) over the fire while sealing in the juices and not piercing the meat with this handy cast iron cooking device. Simply open up the clam shell style castings, drop in your dogs, close & latch and cook over the fire until done. A great family activity for firepits and campfires. 3 5/8" x 6 1/4" cast iron cooking surface with an overall length of 30". Recipes included. Made by family camping cookware specialists, Rome Industries. Make authentic Panini sandwiches on the grill or stovetop. 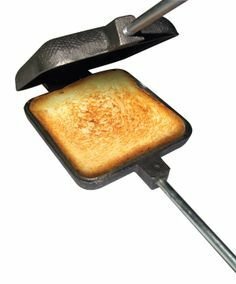 Featuring a large 8" x 4" cooking surface and made from heavy cast iron to insure unofrm and solid pressure on the sandwich as it toasts. To use, simply place your sandwich inside the open cavity of the cooker, close the lid and place on a BBQ grill or stovetop burner. After a few minutes flip the panini press and continue cooking until the sandwich is hot and toasted. Includes recipes. Made by family camping cookware specialists, Rome Industries. It's time to whip up something delicious, and Wolf's nonstick pie and dessert maker is here to help. Baking fruit, vegetable and meat pies is easy with the molded crimper that seals the crust as it bakes. Struggle to craft crust? No worries. The included pastry cutter helps you cut crust to the perfect size, every time. With deep reservoirs, it's even great for making muffins, cupcakes and quiches, too. Let the culinary creating begin! 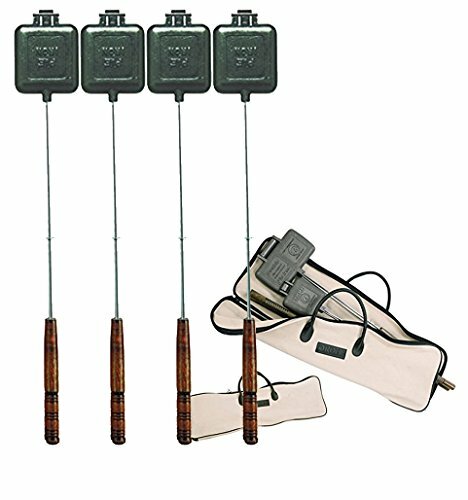 Bundle Includes Rome Industries 4 each 1705 Pie Iron Sandwich Cooker and 1 Rome's 1998 Pie Iron Storage Bag, 30-Inch x 10-InchThe classic, all-time favorite square pie iron loved by family campers & scouts and for 45 years. Made from solid cast iron with dependable chrome plated steel handles, you won't find a better design on the market. To use simply place two pieces of buttered bread in the clam shell style compartment and stuff with preserves, cheese & meat, pie filling or whatever you want. Close the lid and toast over the fire until done. Perfect for campfire or backyard firepits. Cooking surface is 4.25" x 4.5" with an overall length of 28". Made by family camping cookware specialists, Rome Industries.Finally a convenient way to travel with and store your Rome pie irons. Meauring 30 inch x 10 inch and made from canvas, the storage bag will easily hold 3 - 4 pie irons. Made by family camping cookware specialists, Rome Industries, Inc. 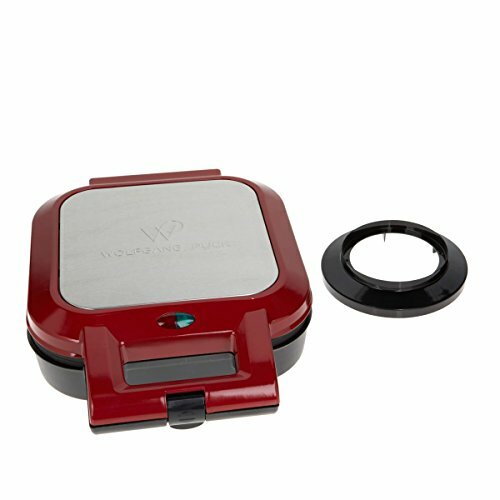 Compare prices on Pie Cookers at Shopsimal.com – use promo codes and coupons for best offers and deals. We work hard to get you amazing deals and collect all avail hot offers online and represent it in one place for the customers. Now our visitors can leverage benefits of big brands and heavy discounts available for that day and for famous brands.